The NHS is going through a period of unparalleled change, most notably, with the introduction of the clinical commissioning groups. The initial pay guidance levels provided to CCG remuneration committees have made way for greater independence so organisations now have more freedom to determine the pay levels of those they employ in their top roles. The coalition government's major reorganisation of the NHS paved the way for the introduction of over 200 new clinical commissioning groups (CCGs). From April 2013, Primary Care Trusts were abolished and CCGs became responsible for commissioning or buying a broad swathe of health and care services. With these new powers also came greater independence over a range of new responsibilities including remuneration. The first batch of annual reports analysed by E-reward.co.uk reveals that most CCGs decided to pay their two most senior directors more than the guidance levels provided prior to their establishment. The report describes the current pay landscape in CCGs, drawing on data from over 2,000 individuals employed by more than 200 of the new CCGs analysed. This is the most comprehensive survey of pay in CCGs available. It's an invaluable resource for CCG remuneration committee chairs, HR and reward specialists and anyone interested in this new part of the NHS. Our pay researchers have been examining boardroom remuneration in the NHS for over 20 years. As well as trusts, they have followed the changes, analysing pay in PCTs, CCG clusters and now CCGs. Have CCGs moved away from the initial guidance levels provided for some of the key board level roles? What are the going rates for these positions and those jobs not covered by the original advice? 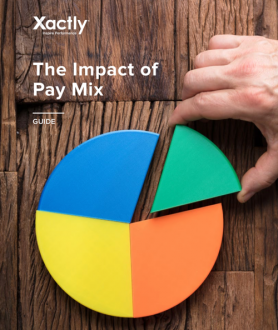 How do pay rates vary according to the various measures of size and complexity?